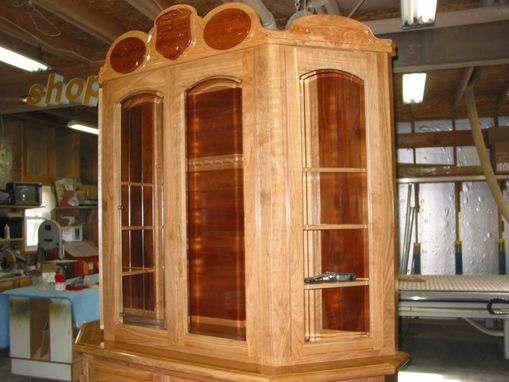 Solid Cherry gun cabinet, beveled glass, internally iluminated. 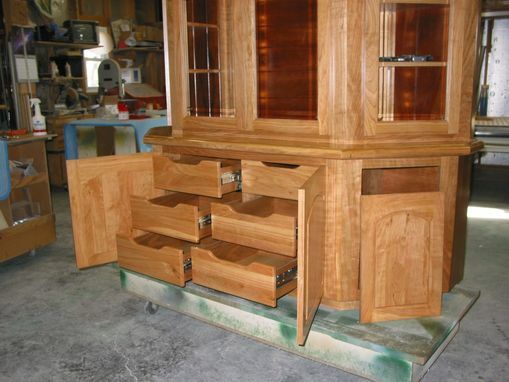 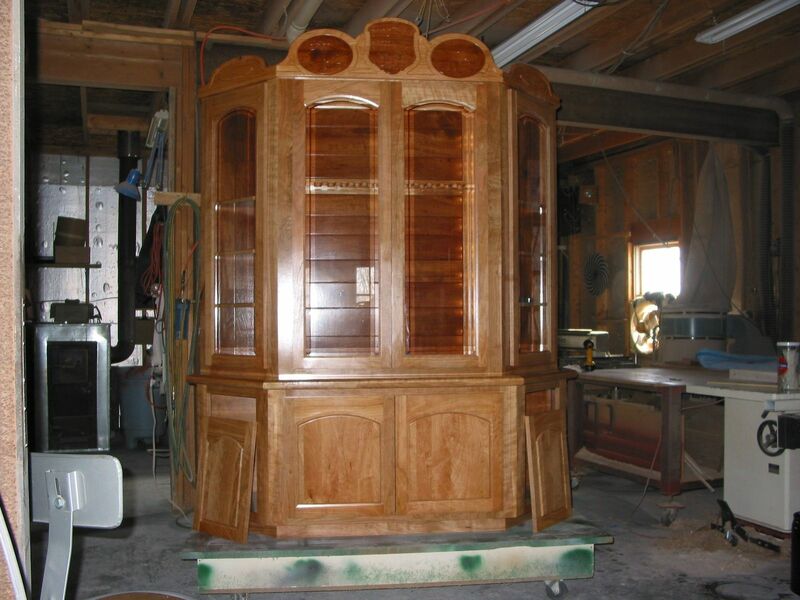 This cabinet can hold up to 10 rifles, 10 hand guns, and a large amount of ammunition and cleaning supplies. The crown is engraved with elements from the clients Family Crest.